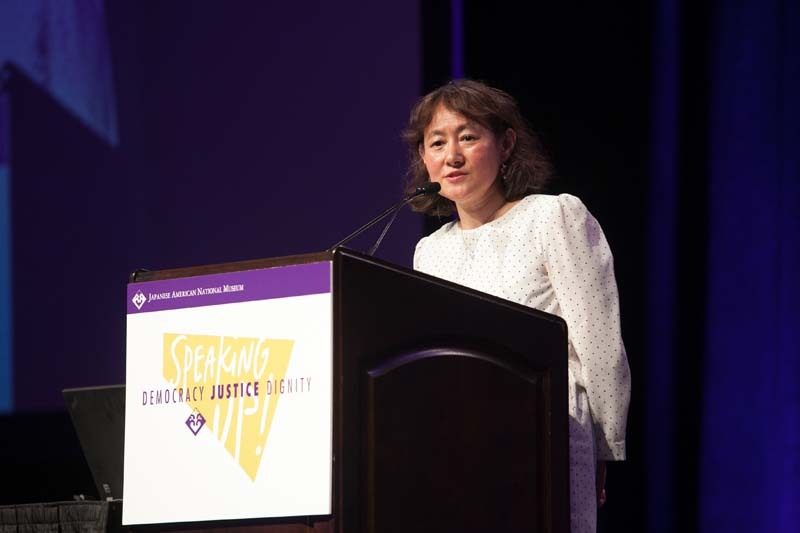 The photo is the Honorable Tomoko Dodo, Acting Consul General, Consulate-General of Japan making welcome remarks at the "Opening General Session with Keynote Addresses" on July 5, 2013 at the Japanese American National Museum’s 2013 National Conference, “Speaking Up! Democracy, Justice, Dignity” in Seattle, Washington. JANM — Atualizado em Mar 24 2014 2:58 p.m.